The NGOs Capacity Building program is designed to support NGOs, develop effective and well-managed organizations that make best use of their human and financial resources to maintain business sustainability. With great focus on delivering successful strategies, emerging tools as well as specific skills and tactics necessary to build the capacity of NGOs, the program aims at empowering the organizations to better perform internally and towards the community they serve. Addressing key persons through management training of decision makers of NGOs such as CEOs, executive directors and General managers by assisting them to acquire organizational management and behavioral skills so that they can produce an interesting combination of homegrown activism and modern management technique that would help them to achieve better results. This program aims at building the capacity of individuals and the preparation of human resources within the organization as well as developing their skills. By undergoing this program, NGOs staff members will understand the importance of performing and completing their tasks within the given time frame and learn how to take initiatives to respond to the emerging needs of the communities they serve. With the intent to offer a highly specialized training program, PDF in cooperation with top notch providers grant nonprofit organizations the necessary knowledge and skills to enable them to work more effectively and efficiently towards accomplishing their missions. Such cooperation will definitely makes a significant difference to participants from the Civil Society sector who would not have had the opportunity to receive such support and training. 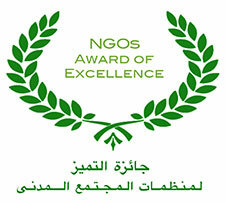 NGOs must have legal documents. NGOs must have a minimum of 5 employees on payroll.